Field Narrows And Excitement Continues At Praia De Itauna In Brazil. On Thursday, competition was carried out until Heat 6 of the Round of 48 at the 2015 WSL Quiksilver Pro Saquarema presented by Powerade. Clean conditions with waves in the 3-4 foot range (1-1.5 meters) progressively deteriorated as onshore winds picked up. 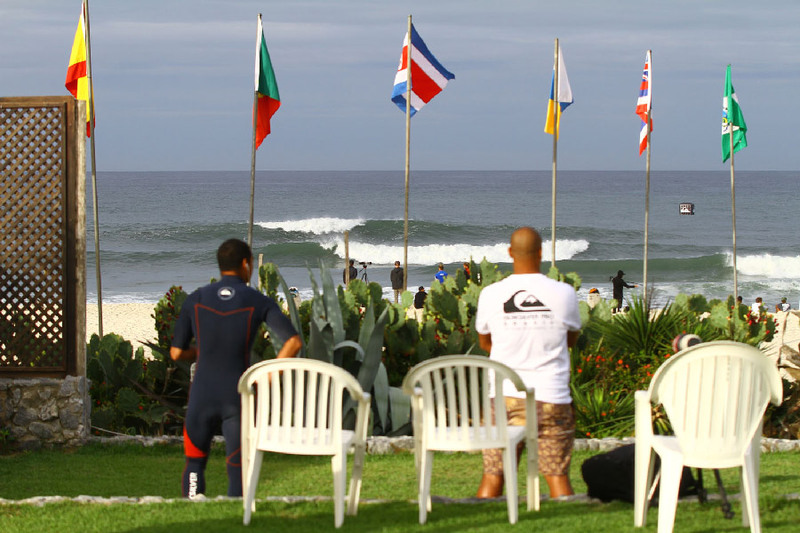 However, plenty of high scoring opportunities were on hand as the international field of surfers battled for the 10,000 World Surf League (WSL) Qualifying Series (QS) ranking points available at Praia de Itauna, in Rio de Janeiro. Veteran surfer Tom Whitaker (AUS) displayed his prowess and experience as he scored the day’s highest heat wave total of a 17.50 (9.43 + 8.07) in Heat 18 of the Round of 96. 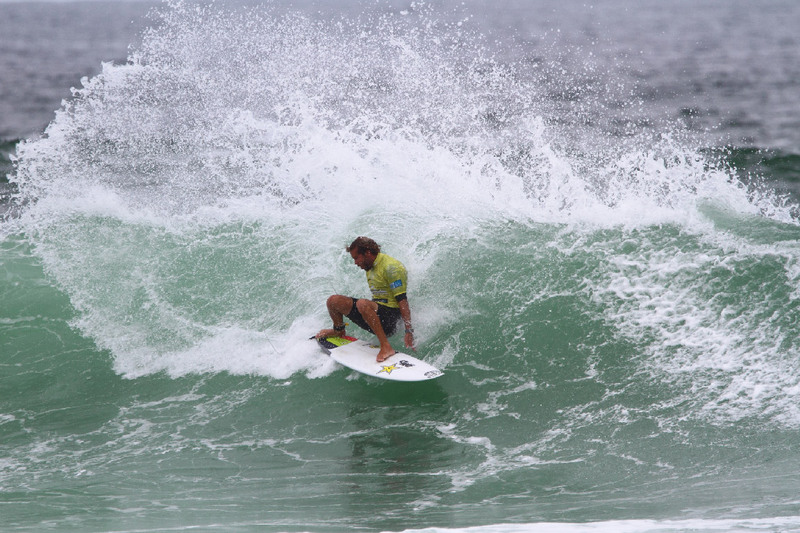 Michael Dunphy (USA) advanced in 2nd place over Willian Cardoso (BRA) and Jose Ferreira (PRT) respectively. The defending champion at the Quiksilver Pro Saquarema, Wiggolly Dantas (BRA) remained in sync with the waves at Praia de Itauna and was able to advance into the Round of 48 alongside Maxime Huscenot (FRA). Deivid Silva (BRA) and Medi Veminardi (REU) were both eliminated from competition. Current Samsung Galaxy Championship Tour surfer Italo Ferreira (BRA) looked solid as he scored a 15.74 heat total to take top honors in Heat 3 of the Round of 48. Granger Larsen (HAW) also advanced in second place. However, Takumi Yasui (JPN) and WSL Qualifying Series ranking leader, Alejo Muniz (BRA) were defeated at the Quiksilver Pro Saquarema. Only 36 surfers from 11 different nations remain in contention for the U$ 40,000 in prize money and 10,000 WSL QS ranking points on offer for the winner of the 2015 Quiksilver Pro Saquarema presented by Powerade.